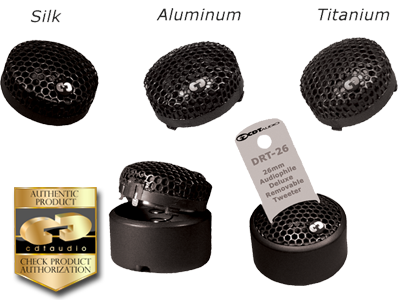 Introducing The DRT-26 1" Modular Quick Removable Tweeter design! Ships standard with Fabric Soft Dome driver. Aluminum and Titanium dome driver is optional. Flush mount hole: 1 10/16"